Find immigration records for your ancestors. With almost 12 percent of Americans claiming some Irish ancestry, Irish immigration to the United States can be a fascinating subject for many genealogists. Find out about trends in Irish immigration over the years, and learn where you can get more information about your Irish ancestors! Over the years, Irish immigrants have played a very important role in the settling of America. Like immigrants from many nationalities, Irish immigrants arrived in America in waves. Often, immigrants moved to escape events in their homeland. For Irish immigrants, these events frequently involved religious conflict and crippling food shortages. Even before America was a country, Irish immigrants were settling on the East Coast. 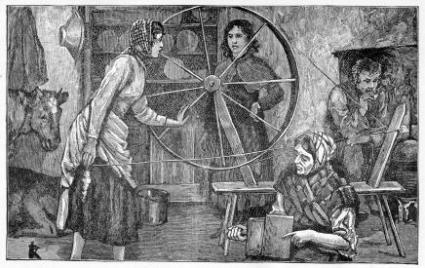 Many early Irish immigrants came as indentured servants, domestic workers, and laborers. Some early Irish settlers came as a result of penal transportation, a practice by which convicted criminals were forcibly moved to the British colonies in America. The terrible growing conditions of 1816, which is known as "the year with no summer," caused devastating food shortages in Ireland and prompted many Irish citizens to immigrate to the United States. By the 1820s, Irish immigration had increased dramatically. The 1820s were a period of construction in the U.S., and Irish immigrants labored to build canals, roads, bridges, and other elements of infrastructure. The peak of Irish immigration occurred in the 1840s, when half of all immigrants to the United States came from Ireland. Ireland had the highest population density in all of Europe during this time period, but the country was unable to sustain its citizens. This resulted in widespread starvation and difficult living conditions, and many Irish immigrants chose to leave their homeland and make their way in America. The Irish Potato Famine occurred in 1845 and prompted a huge wave of Irish immigrants to try their luck in the U.S. The potato blight, which ruined 75 percent of the Irish potato crop in 1845, destroyed the primary food source for the country. It is estimated that 350,000 Irish citizens died from starvation and illness as a result of the potato blight. Seeing few other options, many Irish people braved the journey to the United States and Canada, travelling in "coffin ships," whereas many as 30 percent of the passengers perished during the journey. Over a quarter of the Irish population immigrated to the United States in the ten years following the Potato Famine. It's easy to begin your Irish genealogy research online. In addition to studying Irish immigration to the United States, you can look at ship passenger lists, census records, and other public records to find out when your ancestors arrived in this country. Then you can take your search to Ireland.